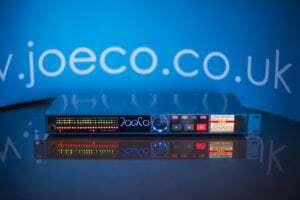 Set to raise the standard of DAW-based recording set-ups, the BLUEBOX range of Workstation Interface Recorders is officially launching from JoeCo. Delivering up to 24 channels of individually switchable mic/line inputs with best-in-class preamps on every channel, BLUEBOX will also back-up all of your work, all of the time – the ultimate safeguard against unexpected DAW freeze and failure. Meanwhile, for location recording, all of the plaudit-winning features of the BlackBox Recorder are available to deliver a fully stand-alone, high-end multi-track audio recorder. BLUEBOX will receive its official launch at IBC 2016, taking place from September 9th to 13th at The RAI in Amsterdam. JoeCo can be found in hall 8, on booth E-97.